The NHS in the North East and North Cumbria has today won a landmark legal battle against two multinational drug companies that will save the tax payer millions of pounds in the treatment of the biggest cause of age related vision loss in the UK. The news comes after the pharmaceutical giants tried to stop 12 Clinical Commissioning Groups (CCGs) in the North of England from offering this choice of an ‘undeniably effective and less expensive’ alternative treatment for wet age-related macular degeneration (wet AMD) to its patients. 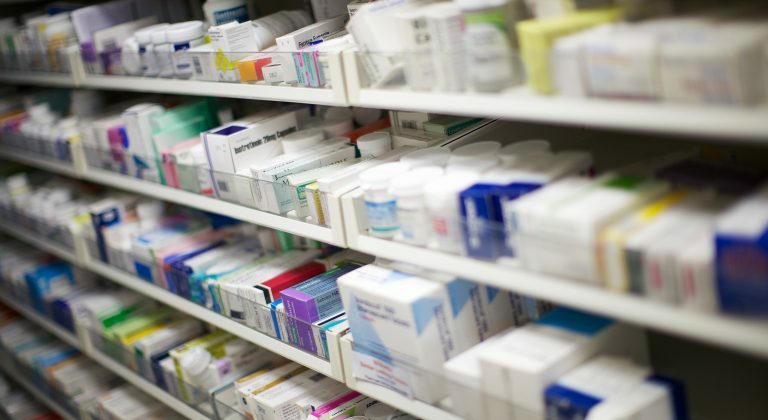 The condition, which currently affects tens of thousands of people in the UK – including 3000 newly diagnosed patients in the North East and north Cumbria alone – is currently treated using either Lucentis, sold by Novartis, or Eylea, sold by Bayer. But today’s decision means that patients across the country can also be offered Avastin as an alternative – a drug around 30 times cheaper than the most expensive alternative. The decision has been welcomed by health leaders and clinicians alike, with potential national savings of hundreds of millions of pounds which can be redirected into vital resources and treatments, including medical equipment and life-saving operations across the country. A well-known cancer drug, Avastin is widely used around the world, including the EU, for the treatment of the potentially devastating eye condition, and has been found by The National Institute for Health and Care Excellence (NICE) to be just as clinically effective and safe as the other two more costly brands. Following the High Court Judgment which was handed down this morning, Dr David Hambleton, CCG Chief Officer in South Tyneside, former consultant geriatrician and lead on behalf of the North East and North Cumbria CCG Forum, said: “We are absolutely delighted that we are now in a position to offer Avastin as an alternative treatment for wet AMD to our patients across the North East and North Cumbria. “The drug is undeniably, equally effective, and much less expensive, and the money this will save – in excess of £13.5 million per year for the 12 CCGs involved in this litigation alone, and hundreds of millions of pounds across the country – can be ploughed straight back into delivering the very best care possible to our patients. “Here in the North, that’s enough to pay for an extra 270 nurses or 266 heart transplants every year, and in a financially stretched NHS that could be life-changing for thousands of our patients. Dr Lawrence Gnanaraj is a Consultant Ophthalmologist and Clinical Director at the Sunderland Eye Infirmary, a regional centre of excellence in the North East of England which cares for thousands of patients across the region with wet AMD. He said: “Today’s decision is very positive news not only for our patients here in Sunderland and the North East, but potentially across the whole NHS. “As clinicians, we understand the importance of ensuring value for money for the NHS and we have supported the introduction of a policy across the North East and North Cumbria which not only offers increased patient choice, but also has the potential to substantially reduce costs for the NHS which can be reinvested directly back into patient care. Dr David Hambleton continued: “The sooner all NHS Trusts implement a policy to offer Avastin as an option for the treatment of wet AMD the sooner we can start to redirect that money into other resources and equipment so we can continue to make improvements to care which have life changing benefits for our patients. The 12 CCGs involved in the legal battle were Northumberland; Newcastle Gateshead; North Tyneside; South Tyneside; Darlington; Durham Dales, Easington and Sedgefield; North Durham; Hartlepool and Stockton-on-Tees; North Cumbria; Sunderland; Hambleton, Richmondshire and Whitby; and South Tees. He concluded: “We know that patients value the care and support from NHS in region and will choose this new option which is just as effective and safe.